The continuation of the negotiations on the Cyprus issue is a one-way street for the Greek Cypriot side, which does not believe that there are other real options, said from Nicosia today the negotiator for the Cyprus issue Andreas Mavroyiannis, underlining that it should not just be a new effort that has not been prepared at all levels and which will have no chance of success, because then “the only thing we will achieve is formalize the impasse”, he stressed. 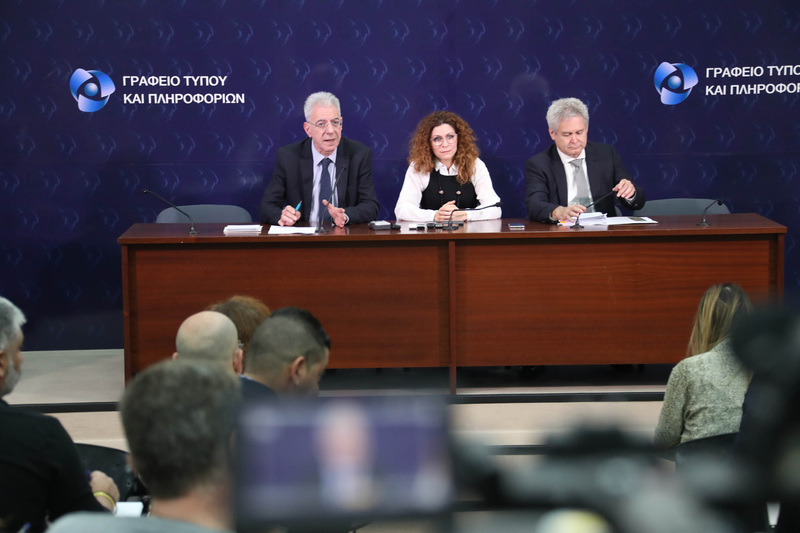 The above, as well as other issues concerning the Cyprus problem, were at the heart of what the Cypriot negotiator Andreas Mavroyiannis and the government spokesman of the Cypriot government, Prodromos Prodromou, said today at a joint press conference. The message is clear from Nicosia and is also apparent from what both Cypriot officials have said regarding the Cyprus issue and from what have been said behind the scenes: To continue the negotiations, despite the contrary messages and aspirations, mainly on the part of Turkey, which are being heard more and more lately . In addition, following the UN Secretary-General’s report, based on what has been said by the above-mentioned, the message to Antonio Guterres is also that the attitude of the Greek Cypriot side remains positive and that the ongoing effort under Mrs Lutz for the conclusion of the terms of reference should continue. However, it is apparent that changes should be recorded so that progress can be made on the Cyprus issue from now on. As it has been bluntly said both to the foreground and in the background, Einstein’s saying that it is futile to think that you will ask the same question 1000 times and each time you will get a different answer, is valid in this situation. So the question and what Cyprus Cypriot diplomacy is trying to answer in various ways is what can be changed. Since the issue that has emerged as a priority of the Turkish Cypriot side is the positive vote (the veto right in all the decisions of the federal government), the Greek Cypriot side has put ideas at the table just to “stir the waters”. One of these was the idea of ​​a parliamentary system of governance, which according to competent sources was not a proposal but just an idea. However, it was rejected by the Turkish Cypriot side. But will the UN keep it on the table? Most likely it will not, as diplomatic sources say, so the debate on the positive vote still has a long way to go. However, this issue is not the only question mark in the Cypriot issue. Diplomats with whom we spoke raise the question of what is being done, for example, with the charter tabled by the Turkish Cypriot side in Geneva and which, afterwards was withdrawn from the same side. Does it still apply? In the sense of course that everything tabled at the negotiations remains there. The same applies to other convergences, such as the 4:1 ratio, which also seems to be out of the question, especially since the numbers in the occupied population are different from what “FM” and Akinji say. These and other issues around the Cyprus issue form the major question of what can change and from which side. IBNA sources say that the efforts made, despite the difficulties, continue. In this context, for the Greek Cypriot side, the purpose is to conclude the terms of reference, provided such a positive development could be the major change that the Cyprus problem needs after a long period of immobility. This is because, as the same sources say, it is not possible to repeat the experience of the previous two Conferences held in Geneva and Crans-Montaña, so that the two sides should come to the negotiations ready and committed to discuss all the issues, and thus the reference and persistence in the context with the six parameters of the SG. In all of the aforementioned, the attitude of the Turkish Cypriot side is different. A major issue in the occupied areas that seems to judge both behaviors and developments is the next “presidential” elections in 2020. Already, the main opponents of Akinji, having a direct line with Ankara, such as the so-called Foreign Minister Kudret Ozersay, are opposed to anything that has to do with a change in the Turkish Cypriot side as far as the Cyprus issue is concerned.